With midterm elections just days away, there is little evidence that California sees a "blue wave" of Democratic voices, at least in the early returns of vote votes, and in some key races that will help determine the electoral campaign House of Representatives was very strong. More votes are still to be cast, warned Paul Mitchell, vice president of Political Data Inc., who provides voter information for various political campaigns. But according to a postal election observer he leads, the Republican votes keep pace with the number of Democratic ballots. "Given the comparable numbers, national mailbox returns are 40 percent higher at this time, the first 1.7 million to 1.2 million," he said. For example, in Orange's 45th congressional district County, where Republican MP Mimi Walters ran against Democrat Katie Porter, was scheduled to vote by mail over the weekend nearly twice that at the same time in June, Mitchell said. 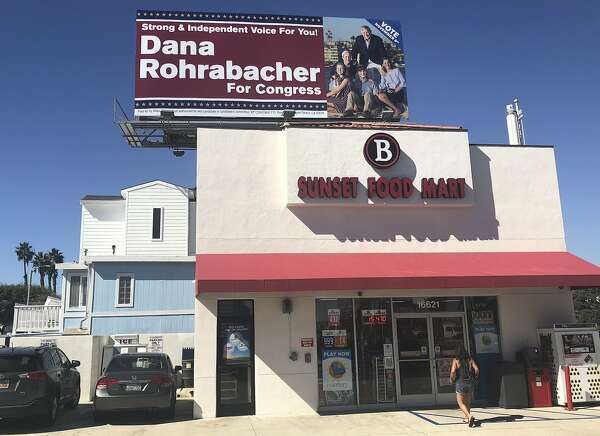 In the 48th district, where GOP MP Dana Rohrabacher from Costa Mesa (Orange County) is being challenged by Democrat Harley Rouda, the number of submissions increased by 84 percent. But the upswing could not help the Democrats. In the case of Walters vs. Porter, for example, made the Democrats 31 percent of those who received postal votes, while the Republicans made up 37 percent. As of Monday, however, the total number of votes cast favored the Republicans by 45 percent to 31 percent. The numbers were similar in Rohrabacher's district, while in Denham vs.. Harder race Democratic and Republican returns were about the same. Bay Area voters who want to turn the house around do not have much at home at home: Any congress District is sure blue. Some travel to the Central Valley to cut off the next Republican. 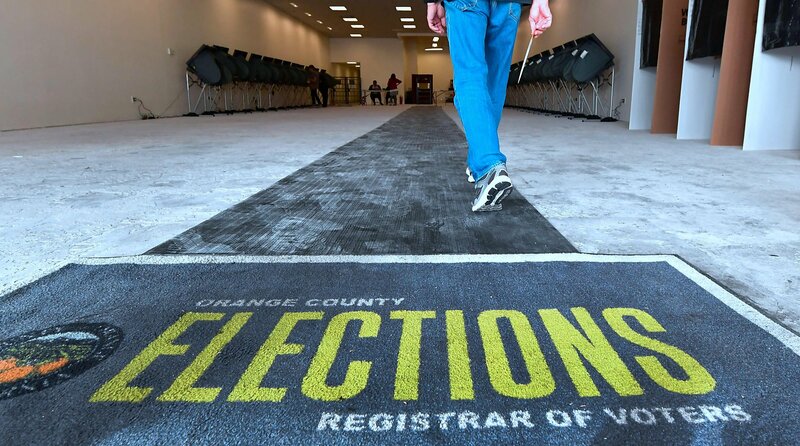 In Orange County, there is democratic hope to defeat the candidates of the Republican House, on the other hand, a little reality – the GOP may be weakened there, but it is far from dead. Like what you read? Sign up for the Political Punch newsletter on our sign up page. It is broadcast twice a week, on Tuesdays and Thursdays, and offers a political perspective with a Golden State spin. Nothing is nicer on the San Francisco poll than Proposition C, which would force large corporations to raise another $ 300 million a year for homelessness programs. Opponents have suggested that companies will leave the city when it happens. But if they do, they have a good chance that their employees will not come along. "What do you mean, he's not here yet?" This was the reaction of former mayor Willie Brown at his annual political breakfast on Tuesday after Democratic Gubernatorial candidate Gavin Newsom won a toss to see if he or the Republican John Cox would speak first – and Newsom nowhere to be found. He finally did emerge – it was all a misunderstanding, Brown later said – and offered a sunny look at the current state of California to counter the completely empty version that Cox interpreted for a lot of Democratic incumbents and mediators. Joe Garofoli from the Chronicle was here – to read his report, click here. Democrats aim at seven GOP seats in California to reach the 23 they must wrest from the control of the house. 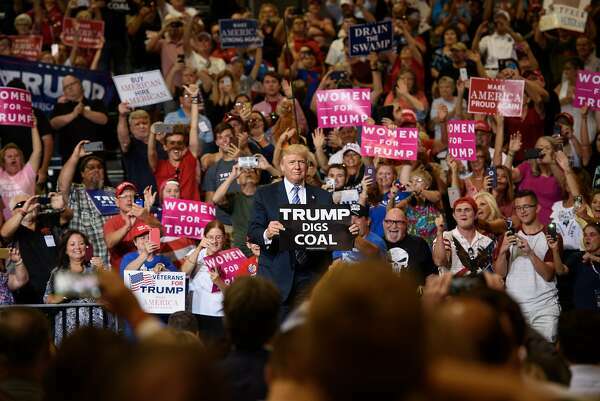 But after visiting several of these districts in the final days of the 2018 Midterms, Chronicle political writers John Wildermuth and Joe Garofoli are doubtful that the Democrats will win more than two of those Californian races. Listen to her "It's All Political" podcast to hear why. Last week, we asked the Republican National Committee chairman whether President Trump could come to California to help Republicans whose electoral happiness is directly related to whether the GOP will keep the house. "Everything is on the table with the president and the party," Ronna McDaniel replied. "He kept the last week of the campaign, and he'll be where he's needed." Apparently he is not needed in California. Trump's schedule for the final week of the campaign includes trips to Montana (running for a seat in the US Senate), two trips to Missouri (ditto) and two to Florida (close races for Senate and Governor). The Democrats could be forgiven hope their favorite slide would swing by. At least one, Andrew Janz, the Democrat who challenged Trump's favorite representative, Devin Nunes, in the San Joaquin Valley, jumped on the mere rumor to ask for donations and asked, "Did you hear that Trump is coming down to the MAGA? Troops for Nunes? " Do not you have enough politics yet? Join The Chronicle's political scientists Heather Knight, Phil Matier and Joe Garofoli and presenter Audrey Cooper at 6.30pm on Tuesday evening. at the Grand Theater, 2665 Mission St. in San Francisco. There are still a few tickets to get: Click here for info. And the parties of the election night come in. There is one for the Resistance, one for Techies, one for the Tenderloin Community and one for a Drag Queen. Find out about The Chronicle's political calendar of events.